Solstice Healing Center, located in Uvita, Costa Rica is the answer to finding inner wellness and deep relaxation. Over the past few years, there has been a marked shift in the number of people that suffer from pain conditions. We are driven by this – being a solution for our clients in reducing and eliminating pain. We also work with our clients to reduce stress, improve sleep, assist women with menstrual cycles and fertility concerns and so much more. Our passion will guide you to find a meaningful and much needed balance. You will relax, refresh and renew with our acupuncture treatments, various massage modalities and body work. Solstice Healing Center specializes in both Five Element and TCM style acupuncture treatments. We also offer eastern and western styled massage treatments. 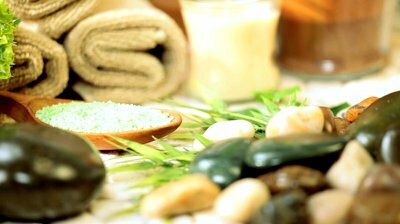 SHIATSU, (a blend of western massage, acupressure and stretching), CUSTOM MASSAGE (combining various techniques including swedish, trigger point and myofascial release for a massage tailored for your body), AROMATHERAPY, REFLEXOLOGY, and DEEP TISSUE MASSAGE are some of our massage offerings. Our mission is to offer health and wellness at an affordable cost. We know that people work too many long hours and live a life full of stress from being “on-the-go”. Whether looking for acupuncture therapy, serious bodywork or just to unwind and relax, Solstice Healing Center is your wellness destination.